Saturday February 20th from 10:00am - 11:30am: Rehmannia will be doing a Gereral Workshop on Chinese Elixirs of Immortality at the Conscious Life Expo in LA. For more information and how to purchase a General Workshop ticket click here. 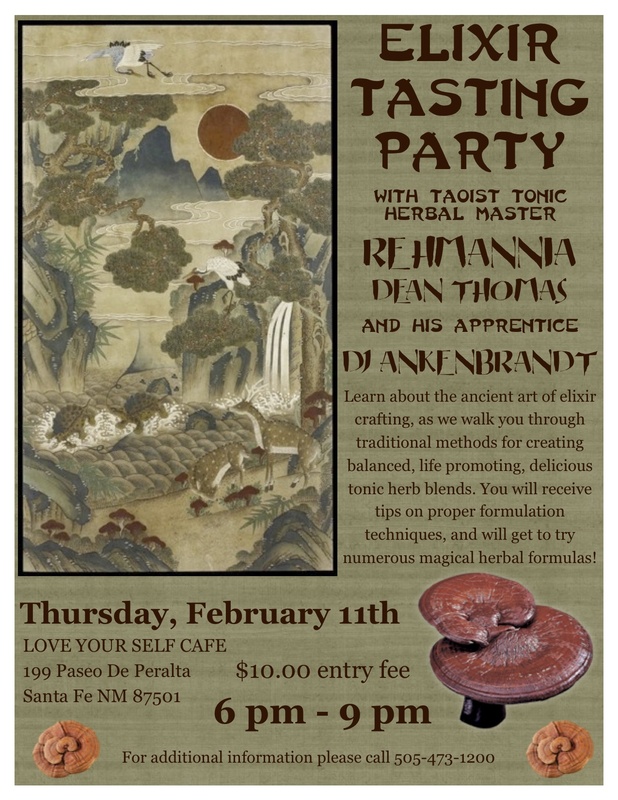 Rehmannia conducts lectures and workshops discussing the origins/history and development of Tonic Herbalism. He offers deep insights into the properties and folklore of individual herbs, and the art of herbal alchemy. He discusses many aspects of health, diet, and the importance of spiritual health. He also attends festivals, providing free “Tongue and Pulse” health evaluations, and designs custom herbal formulas tailored to the customer’s needs. These herbal tea formulas provide 2-3 weeks of tea therapy. Rehmannia will come to your Home/business/public facility, to speak for 20 or more guests (limited to Los Angeles area). West side LA events coming soon! Hi everyone, The Dutch Health Store is now carrying our products!!! !